What is Your Scrum Certification for Mobile App Developer Program? Your Scrum Certification for Mobile App Developer Program is a multiple-choice online test examination in which you can participate from your own PC from anywhere around the world. Your test contains 50 questions and you have 60 minutes in a single session to answer your questions. Your test and certification cost in total USD 49. No other hidden costs or fees involved. 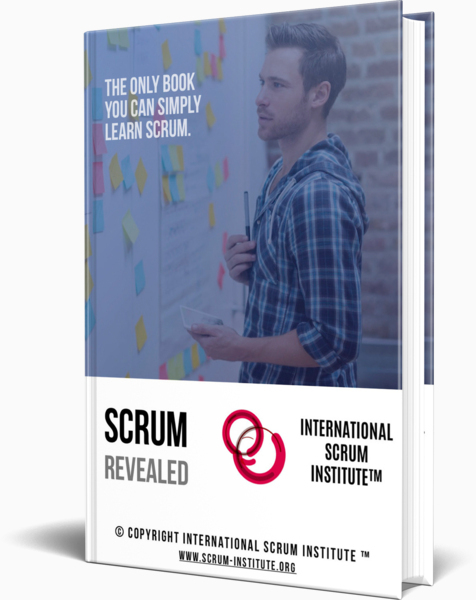 In order to pass your certification examination and obtain your Scrum Certification for Mobile App Developer you need to correctly answer at least 60% of your test questions. Examination success rate is 99%. Register Online for your Scrum Certification for Mobile App Developer Program. 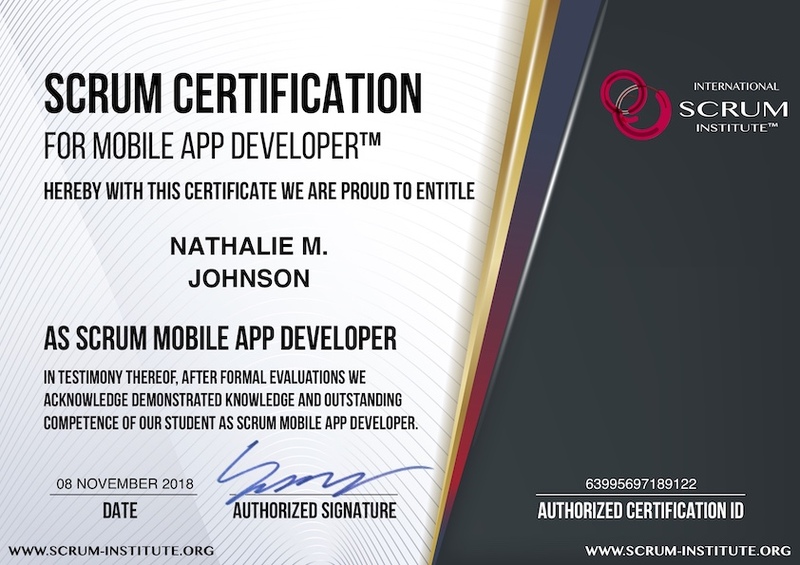 Get your Lifetime and Worldwide valid Scrum Certification for Mobile App Developer instantly after you finish your Exam. Your Scrum Certification for Mobile App Developer examination comprises multiple-choice Test Questions. Reading your Online Scrum Training Program will be very helpful for Scrum Professionals like you to acquire the knowhow to pass your Scrum Certification Examination and to get your Scrum Certification for Mobile App Developer. We guarantee that Your Free of Charge Premium Online Training will make you pass Your Scrum Certification for Mobile App Developer Exam! Who should get Scrum Certification for Mobile App Developer? As a Scrum Mobile App Developer, you transform the business goals of your customers into Mobile App-based Software Solutions and Systems. The main difference between an ordinary developer and a Scrum Developer is that: As a Scrum Developer, during the full course of your work, you are conscious of the business goals and business demands of your customers. You are fully aware of why your employer has hired you and what your customers need and expect from you. 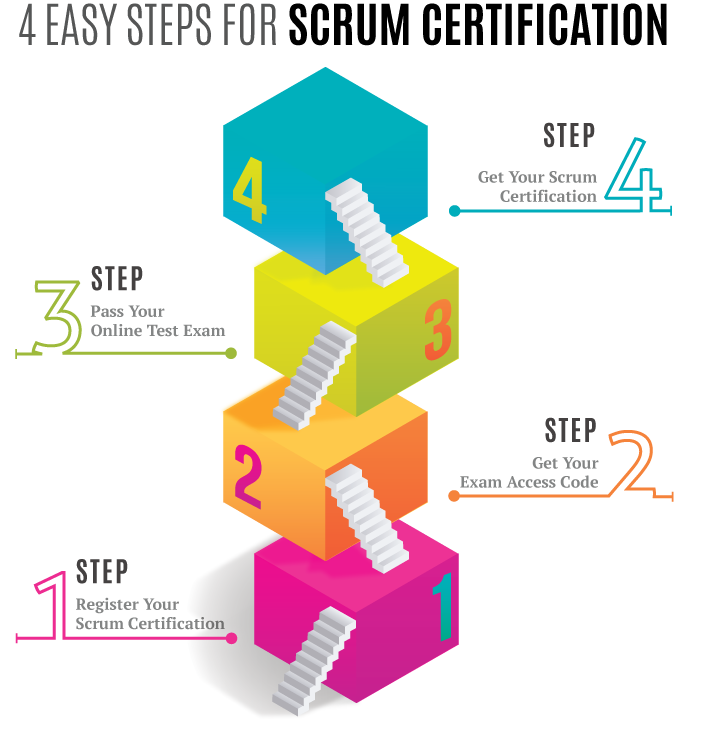 Moreover, as a Scrum Mobile App Developer, you are the trusted technology partner of your customers. You give your employers and customers the full confidence and every reason to keep you on board. You are the one person who connects business goals and business requirements to software designs and lines of runnable software code. You are no longer a sole designer or programmer. You own the end-to-end engineering life-cycle of your entire Software from its requirements analysis and architectural vision until its user experience, extensions, maintenance and end of life. As a Scrum Mobile App Developer, you are in charge of delivering runnable Mobile App Solutions in small and frequent iterations. You excel and ensure the continuous delivery of your Designs and Software to your clients to create rapid and uninterrupted value for their and your businesses. You always remember that: Your mission is to have happy customers while building software that you and your customers love! If you are a passionate Mobile App Developer and a dedicated Agile Software Engineering Practitioner to build efficient, world-class and high-quality systems, we highly recommend you to get your Scrum Certification for Mobile App Developer (SC4MD).